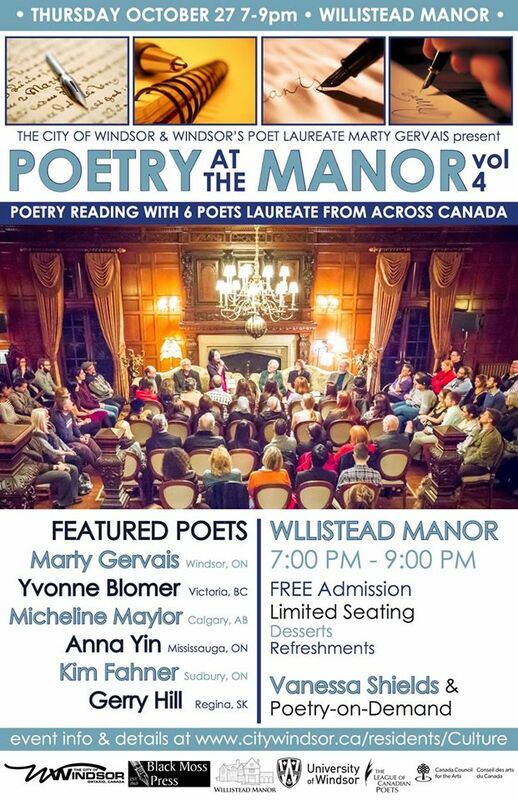 Yvonne Blomer reads at Willistead Manor as part of the City of Windsor’s annual poet laureate round up. The event features fellow poet laureates Micheline Maylor (Calgary), Anna Yin (Mississauga), Gerry Hill (Regina), Kim Fahner (Sudbury), and Marty Gervais (Windsor). Come early to grab a seat and enjoy a free evening of dessert, music, and readings. Books will be available for sale.